In the 1940s, about 5,500 Jews called Ireland home. That number has since decreased to 1,800, but the community continues to be active. 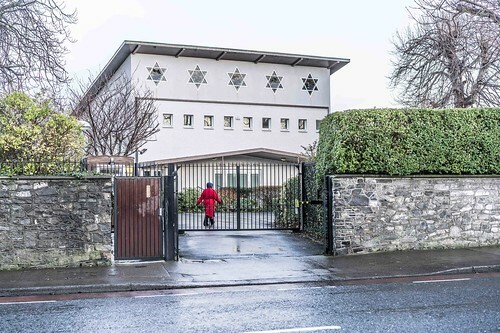 On 26th September 1936 a meeting was held to set up a Synagogue in the Rathmines / Rathgar / Terenure area to cater for the young families who were now living in these areas, and were too far to walk to Adelaide Road or Greenville Hall Synagogues. The Shul started in rented rooms at6 Grosvenor Place, Rathmines, but in April 1940 52 Grosvenor Road was purchased. At Rosh Hashanah 1948 the Congregation moved from Rathmines to a Nissen Hut in the grounds of “Leoville”Rathfarnham Road, Terenure, which had been purchased on behalf of the Congregation by the late Woulfe Freedman and Erwin Goldwater some years before. 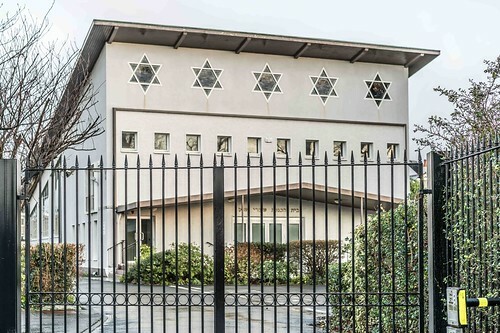 The building of the New Terenure Synagogue commenced in August 1952 and was completed and dedicated on 30th August 1953.